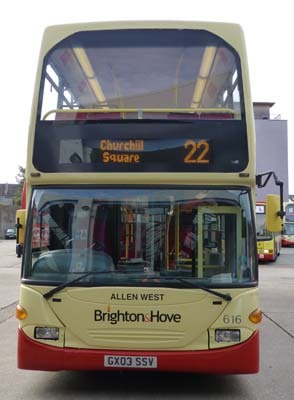 Connections with Brighton and Hove : Ever since the 1970s, the biggest company in Brighton and Hove has been American Express which has its European headquarters in Edward Street. 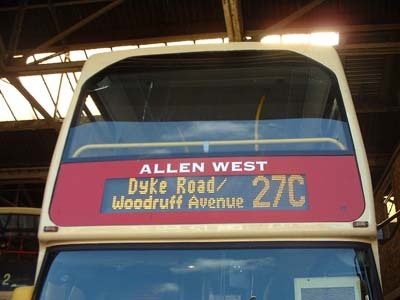 But for many years before that, it was Allen West, an electrical engineering firm, which was based in Lewes Road. 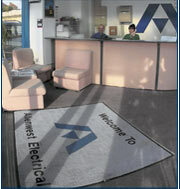 It was named after its founder, Allen West, who started a small business in 1910 manufacturing electrical control gear. The firm rapidly expanded, reaching its peak in the 1950s and 1960s when it had more than 3,000 employees. 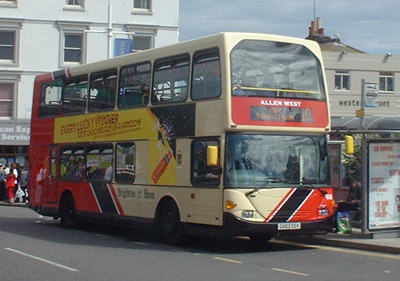 Recessions of the 1980s damaged Allen West as it did all the other engineering firms in Brighton and Hove. But there are still many men and women with fond memories of a company where they spent most of their working lives. Allen West himself was a sportsman as well as being an engineer. He served as a soldier in the Boer War and was present at the relief of Mafeking.After being wounded, he recuperated at Hove, West, who also served in both world wars, was sales engineer as well as managing director for the company and travelled extensively in that role. He had a long association with the British Electrical and Allied Manufacturers’ Association. 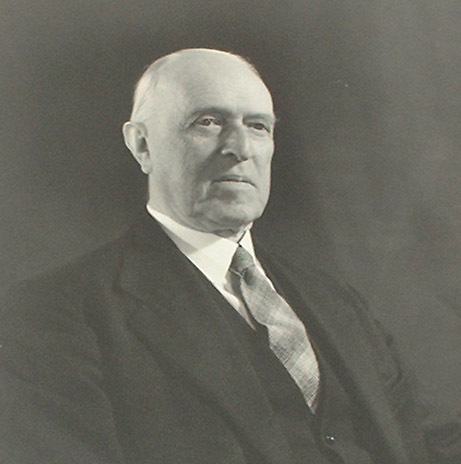 West gave up being managing director in 1933 but remained on the board for another 20 years before retiring at his own request. He died in 1957 in his 80th year. 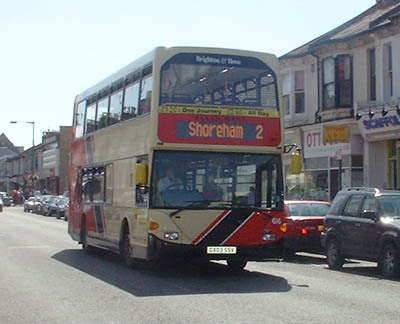 616 Scania Omnidekka carried name since delivery in July 2003, in July 2004 the name was changed to white to see if the names will stand out better on these vehicles. 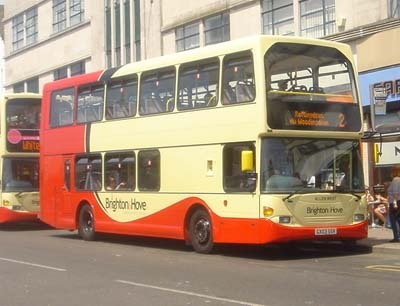 Repainted into new livery June 2006. 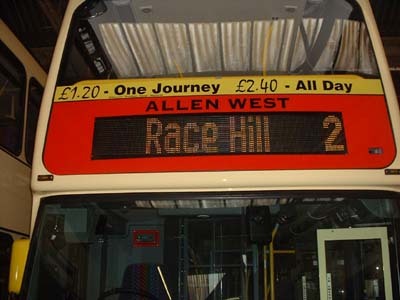 Name removed as bus being converted to Open Top bus October 2014.